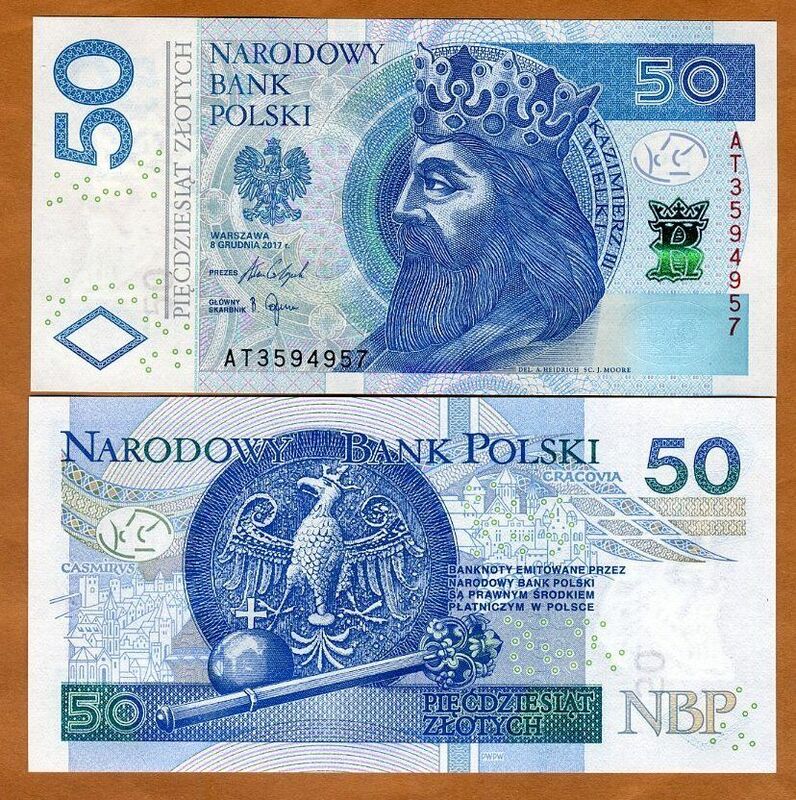 The Narodowi Bank Polski has introduced on July 16 improved banknotes of 50 zlotych (PLN50.2B) dated 8 Grudnia (December) 2017. The note is similar in design to the previous 2012 one (PLN50.2A) except for the new date and signature of the President and Chief Treasurer, and for the addition of a protective transparent layer on front and back. Courtesy: Narodowy Bank Polski, Yuri Minkin.